Younger readers will probably know nothing about Eddie McAteer and many of you older ones may have forgotten all about him. Well, from 1953 he was MP for Foyle in the old Stormont Parliament, the leader of the Nationalist Party from 1964-69 and, from 1965-69, the leader of the Official Opposition. From 1921 the Nationalist Party had adopted an abstentionist policy and were to do so again when McAteer lost his seat – to John Hume, as it happens – in 1969. In other words, McAteer is the only leader of the Official Opposition that Northern Ireland has had. 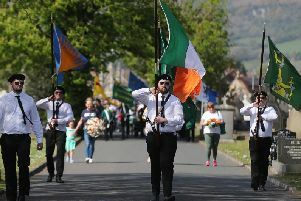 Neither the Good Friday Agreement nor the St Andrews Agreement made provision for an opposition, official or otherwise; primarily because Sinn Fein was concerned they would be forced into it with everyone else ganging up on them, but also because there was a fear in UUP/SDLP circles in 1998 that structures of opposition would be used by the DUP and other anti-Agreement unionists as a wrecking ball. At various times since 1998 a number of parties and individuals have described themselves as a form of opposition. In December 1999, when the first Executive was formed, the DUP took office on the basis that they would be, “providing opposition to SF terrorists and roll-over UUP ministers”. For a while Alliance appropriated the title, but then joined the Executive in 2010 when David Ford accepted the DUP/SF offer of the Justice Department. Both the UUP and SDLP have justified their position in the Executive with the claim that they were also providing “internal opposition”. And members of the ‘naughty corner’ (Jim Allister, John McCallister, Claire Sugden, Basil McCrea, Steven Agnew and David McNarry) argued that they, individually and collectively were the ‘only opposition’ to the Executive. When the fifth Assembly mandate begins in a couple of weeks there will, thanks to John McCallister’s Private Member’s Bill, be an opportunity to create a formal, recognised, funded, official opposition. Under the new Act it will be possible to have a leader of the opposition (and a deputy if more than two parties are involved) and an ‘opposition leadership’ which could include what, to all intents and purposes, would be a team of shadow ministers. It also means that when the media interview the minister for education, they will also be able to interview someone who will be generally recognised as the shadow minister for education. This would represent a major shift in the dynamics of the Assembly. It would allow for genuine debate on the Programme for Government, force the Executive parties to stand together rather than bicker over their own policies, encourage the development of proper lobbying of government and opposition parties, remove primary responsibility for opposition from the media (who have been forced to take on the role) and ensure that genuine alternatives to the PfG were aired rather than brushed over. Most important of all, though, is that it would provide the voters with a genuine choice at elections. All of this is worth having. The parties have been talking about it for years – indeed it was a key feature of both the Stormont House Agreement and the Fresh Start deal. But the new arrangements don’t set a threshold for entry to the Executive and the official opposition can only be formed by parties which are entitled to a place in the Executive under the existing rules – but who choose not to take those places. Which means that there’ll only be an opposition if the SDLP, UUP and Alliance choose to form it. That view suggests that he is willing to give the Executive a chance if he thinks that the SDLP would have a positive role within it. If the UUP add on a few seats and a few percentage points then Nesbitt could argue that the electorate has given the party the ‘opportunity’ he has asked for: which also suggests that he will opt for the Executive. If that is what happens –those three parties choose government rather than opposition – then there won’t be an opposition. And under the new rules it won’t be possible to leave the Executive and designate as the official opposition. Which means another mandate without an opposition. Which, in turn, means no proper debate, no alternatives, no ruthless scrutiny, no choice at elections and the media still burdened with the job of opposition. All of which is bad for politics, for democracy and for turnout. The SDLP, UUP and Alliance (unless all three defy the odds and collectively eclipse the DUP and SF) will have a huge choice to make in a few weeks. Do they return to an Executive where they have been routinely abused and sidelined, or demonstrate courage and use opposition to build an entirely new role and influence for themselves?